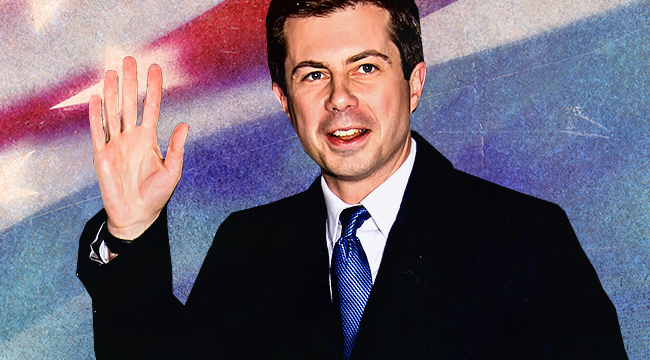 Since his town hall on CNN on March 10th, 2020 presidential candidate Pete Buttigieg has been receiving a surge of attention from both the media and potential voters. Before his appearance on CNN, Buttigieg was a relatively obscure 2020 candidate with little name recognition, but in the time between his town hall and March 24th his campaign has raised at least 1.6 million dollars and secured a spot in the Democratic primary debates. In the past two weeks, Buttigieg has been interviewed on The View, Morning Joe, and Fox News and profiled in The Guardian, The Washington Post, USA Today, and The New York Times. As far as policy goes, Pete Buttigieg offers a progressive platform. He supports universal background checks, a single-payer healthcare system, the Green New Deal, and pulling troops out of Afghanistan. He is also in support of a pathway to citizenship for undocumented immigrants, a federal non-discrimination amendment, and is a strong proponent of labor and union groups. When it comes to structural change, he is in favor of getting rid of the electoral college and adding more justices to the Supreme Court in a system that eliminates any chance of political bias on the court as a whole. Currently, Buttigieg is only polling at one percent in nationwide polls. However, the recent money and momentum his campaign has received have led to him to expand his staff in preparation for a wider campaign. It is important to note that so far Pete Buttigieg has not officially announced his candidacy, and is currently only running an exploratory committee. However, he has hinted that the current momentum his campaign is receiving is pointing him in the direction of announcing sooner rather than later. As the campaign moves forward, voters can look forward to learning more about Pete Buttigieg in the Democratic primary debates. The Briefing Room: "I Don't Really Care for School"
Hips Don’t Lie – But Age Sure Does! Across The Board: The Sharks Are Hungry!